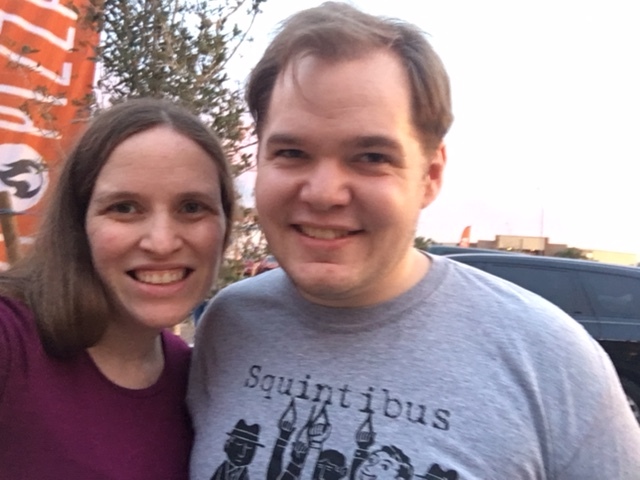 You can’t get much more typical for a date night than dinner and a movie, and that’s exactly what my husband and I did for our last planned date before the baby arrives. Actually, we had planned on only doing one or the other, but thanks to being informed of a grand opening of a new pizza place near us, we got a free, delicious dinner and didn’t have to decide! 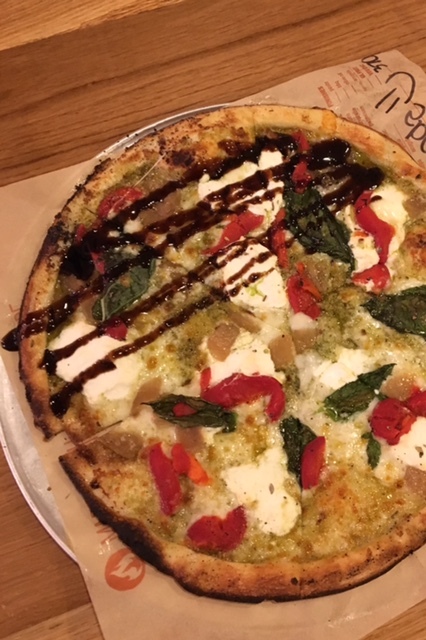 We had a lot of time to actually just talk to each other while we waited to get in (because free food at dinner time definitely meant a bit of a line) and then we both enjoyed really yummy customized pizza before heading off to the movie! As parents, we don’t get out to the movies much. I think the last time we went was last Christmas, and we feel really old when we go and remember how high the prices are and then we remember why we usually hold out to stream them. Plus, if we’re going to snag a date night, we usually want something where we can talk to each other and obviously a movie kind of shuts that down. The last movie we saw just the two of us though was The Force Awakens, and being lifelong nerds we really wanted to see the Rogue One before we had any more of the plot spoiled for us than we’d heard about already. I love how seriously you’re taking the D for Dating thing! Is this a new resolution, or just new to the blog? Also: Going to a movie together has always seemed like an unproductive first date to me—how can you expect to get to know each other?—but I never thought about how much better it gets when you know each other and, as you say, can communicate with just a look! It’s new to both! We’re trying to be more intentional about dating after how little of it we did last year and knowing that it can easily get put off with a new baby. YES! I never really liked it as a get to know you date either, but now that we do know each other pretty well we get not only the looks but often a great discussion after too!